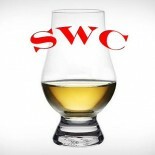 During a particularly wise and lucid moment at our most recent SWC meeting, I noted to the guys a bit of an evolution in my whisky hobby. In the early days, my buying focus centered on what new things I could taste, both for curiosity and palate development reasons. The particularly obvious attribute of this mindset is that it is quite expensive. The longer the you go, the more theoretically you can spend, assuming you start with the cheap bottles. Enough time goes by and this search will prove unsustainable. So my confession to my fellow members was simply thus: these days I spend my time & budget just sticking to what I know and love with the occasional never before tried bottle buy. This just seems to be where I am at. Glenmorangie takes their 10 year old single malt and further finishes it for two years in ruby port pipes, 600L tapered casks that previously held the fortified produce of dessert wine from Portugal. Bottled at a nice 46% ABV, this single malt is one of three finished Glenmorangies in the 12 year range, the others being LaSanta and Nectar D’or. On to it…. Nose- The port wine is weak here. Just kidding. Full of winter berries, dark fruits and currant. Lemon, almost. Peppermint and figs. Big. Toffee sweet. Taste- Sweet and thick, much like me. Chewy port, rich sugar and cereal. Cloying. Finish- Long, fruity and quite sweet. Comment- Still works for us, after all these years. The price has gone up a bit on our whisky boom, but it is still worth the price of admission. Recommended. Totally agree. This one is tried and true. A solid choice for beginners or seasoned pros. I totally relate to where you’re at in your journey – I’m going back to old stand by drams, as my collecting and exploring was getting hard on the budget! I wonder if everyone gets to that point sooner or later. Those of us who are not rich dentists eventually just have to settle down. But I like my whisky hobby at this point. I’m just enjoying life.